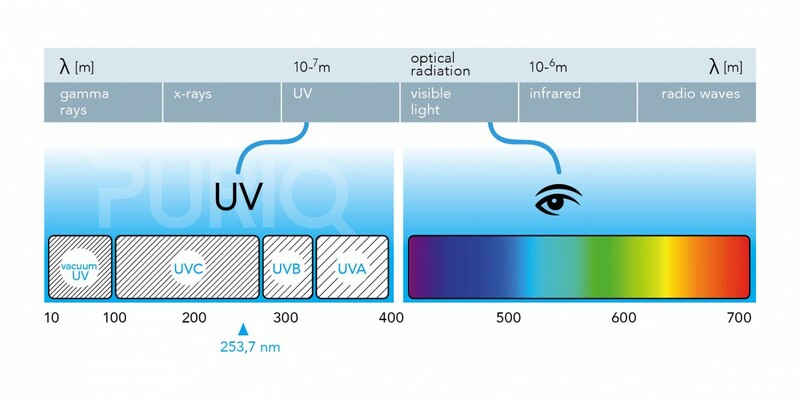 UV-C is invisible electromagnetic radiation that ranges in wavelength from 100 to 280 nanometres. These wavelengths fall just outside of the part of the spectrum visible to the human eye. The disinfecting qualities of UV-C light are based on the damage it causes to the DNA of micro-organisms. Good disinfection lamps produce UV-C light with a wavelength of 253.7 nanometres.The DNA absorbs the UV-C rays, and the resulting photochemical reaction breaks down the DNA code. As a result, the micro-organism is made harmless and can no longer multiply.